Medfield, MA, September 11, 2013 — Local Alterative Medicine Practitioner, energy healer teacher, cable TV host, Helen Chin Lui, celebrated her lucky 7th year milestone as a full-time alternative medicine business on September 6, 2013. According to www.holistictrend.com, consumers are straying from traditional health advice and home remedies to seek out new and alternative ways of healing the mind, body and soul. More people are trying various alternative healing modalities such as reflexology, reiki, massages, acupuncture, homeopathic and naturopathic medicines. There is also more of a demand for classes in meditation, qi-gong, tai-chi, and yoga. What is holistic or alternative medicine? It is a system of health care that fosters a cooperative relationship among all those involved, leading towards optimal attainment of the physical, mental, emotional, social and spiritual aspects of health. It emphasizes the need to look at the whole person, including analysis of physical, nutritional, environmental, emotional, social, spiritual and lifestyle values. It encompasses all stated modalities of diagnosis and treatment including drugs and surgery if no safe alternative exists. Holistic medicine focuses on education and responsibility for personal efforts to achieve balance and well-being. To keep up with this trend the Healing Place is evolving. We are looking at what people’s needs are. We not only address the body, but the mind and spirit. As a public service, the Healing Place will be offering a workshop to talk about how energy medicine can heal many digestive issues on Wednesday, September 25, 7-8pm at the Healing Place, 50 North St., Medfield. Participants will walk away with a lot of self-healing tips that they can do from their homes. To reserve a seat, please call 508 359-6463. Be part of this holistic trend. Be proactive with your health. Everyone has the ability to tap into their self-healing skills. 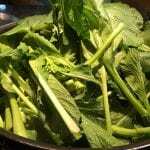 Ms. Lui has an informative website, www.HealingPlaceMedfield.com and writes a weekly blog. She is also a member of the Massachusetts Reflexology Association and Reflexology Association of America. She is also an active member of the Dream Factory, a community networking group in Medway, MA. The Healing Place offers healing sessions and consultations in-person and over the phone for individuals who are seriously interested in how they can be proactive with their own health care. For more information about services, classes and to schedule a free 60- minute consultation, call 508 359-6463 or visit the Healing Place’s website at www.healingplacemedfield.com. 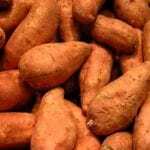 Sweet Potatoes and Yams for Liver Detoxification?